Today marks the start of the Just Cause 4 Stunt Squad. A prestigious club that gives players an opportunity to upload their latest and greatest stunts in order to win some awesome prizes. 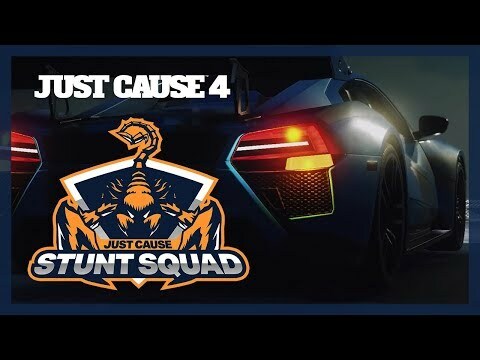 Players can submit their stunts at https://justcause.com/stunt-squad. Each round we will select the best stunts from the global community and share them with millions of Just Cause fans around the world via the Just Cause official YouTube Channel. The best stunts in each round will also win premium, exclusive Stunt Squad Merch* and be immortalised in the Stunt Squad Hall of Fame! *Stunt Squad is open worldwide but Stunt Squad Premium Prizes are only available in certain countries. Please check the T&Cs for further info. Showing stunts from start to finish! Capturing stunts from your console or PC – We won’t accept stunts recorded using your mobile phone camera, however good they are!